First is the wonderfully colored 666 Under Pressure 11 – in Blue from Barcelona. Striking looking model from 666 of Barcelona reflects the industrial pressure gauge look and with this incredible blue dial with a large Seconds analog hand, it really is a “mobile” watch indeed. Size wise diameter is 48mm and lug to lug the same. 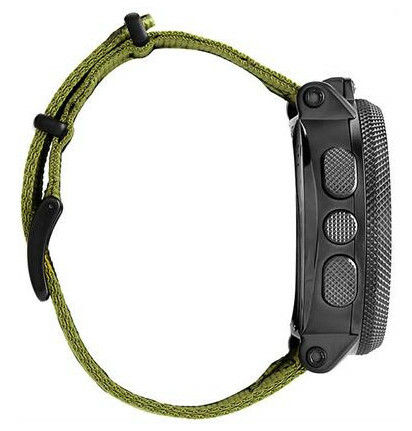 The watch case is 14mm thick and the strap 24mm. 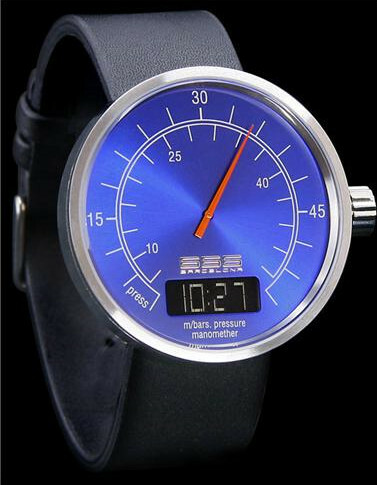 The digital display shows the time and there’s no doubt this will certainly catch the eye of your friends. At around $100 not bad for style I’d say . . .
Also 48mm diameter (ex crown), made of 316L stainless steel with a K1 Scratch Resistance crystal. 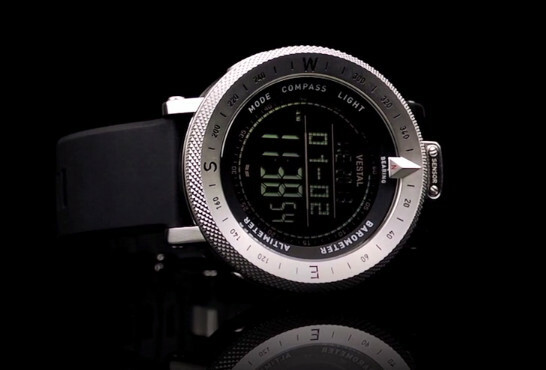 With the usual ABC features such as Altimeter, Barometric Pressure and a digital Compass, plus World Time and Alarms and so on it’s quite well specified. 10ATM Water Resistance so no worries getting it wet on your travels. 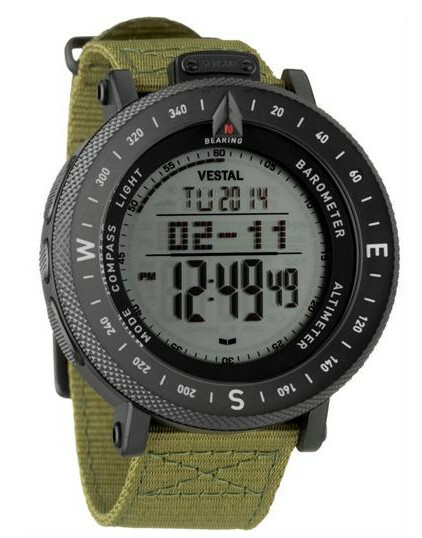 The large bi-directional bezel with the large pointer with the compass feature assists in the calculation and indication of your bearings. A Polyurethane 22mm strap and a patent pending, modified OKTOLOCK system with stainless steel buckle. Note this has a 100hr Countdown Timer plus a Weather Forecast feature and in fact very Suunto like in regards the functions. As I say, just a thought for Christmas to add a bit of style to the guy in your life.